The files, unearthed this summer by a security analyst at the California-based cybersecurity firm UpGuard, were discovered in a folder labeled “resumes” containing the curriculum vitae of thousands of US citizens holding Top Secret security clearances—a prerequisite for their jobs at the Central Intelligence Agency, the National Security Agency, and the US Secret Service, among other government agencies. Many of the files are timestamped and indicate that they were uploaded to the server in mid-February. Gizmodo has yet to confirm for how long the data was left publicly accessible, information only accessible to Amazon and the server’s owner. “A cursory examination of some of the exposed resumes indicates not merely the varied and elite caliber of many of the applicants as experienced intelligence and military figures, but sensitive, identifying personal details,” UpGuard said in a statement. Founded in 2008 by former a Delta Force operative, retired US Army Lt. Colonel James Reese, TigerSwan has operated on behalf of the U.S. military and State Department as a paramilitary force in Iraq and Afghanistan, as well as domestically on behalf of corporations. The firm reportedly employs a staff of roughly 350 with offices across the Middle East, in North and West Africa, Latin America, and Japan. Beyond its battlefield utility, TigerSwan International has provided construction and security services in Saudi Arabia, where the firm is licensed by the monarchy’s general investment authority; protection details for corporate sponsors and wealthy sports fans during 2014 Sochi Olympics in Russia; and more recently, TigerSwan aided US law enforcement tasked with countering protests around the construction of the Dakota Access pipeline. Due to the number of resumes involved, the true impact of the breach has yet to be fully realized. Some of the applicants were apparently involved in very sensitive and highly-classified military operations. According to UpGuard, at least one of the applicants claimed he was charged with the transportation of nuclear activation codes and weapons components. Another applicant reportedly stated that he was involved in “enhancing evidence” against Iraqi insurgents during the war. Others, who provided their home addresses, as well as personal email accounts and phone numbers, were employed and may be currently employed by US spy agencies for work on Top Secret surveillance and intelligence-gathering operations. It was not immediately clear if any of the US applicants are currently deployed in conflict zones overseas and the repercussions for foreign nationals who applied to work at TigerSwan and may currently reside in dangerous regions, such as Iraq, have not yet been fully assessed. 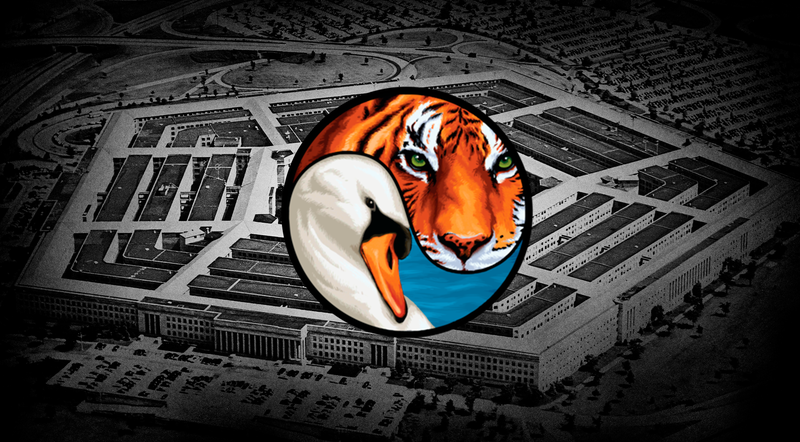 A Gizmodo investigation into the potential consequences of the breach was interrupted on Saturday after TigerSwan went public with a statement on its website. Update, 7:45pm: Additional context concerning the resumes and remarks from UpGuard added. Update, Sept. 3, 8:40pm: On Sunday afternoon, TigerSwan forwarded Gizmodo an email which appears to contain a discussion between TigerSwan and a former TalentPen employee. The email references “July billing details” for the unsecured AWS server discovered by UpGuard. “I’m afraid that it does show activity that seems to be consistent with the number of files and overall size of the total number of files,” the alleged former employee says. Gizmodo has reached out to the former TalentPen employee identified in the email and will update again if we get a response. TigerSwan forwarded Gizmodo a second email over the weekend. This one, dated February 15, appears to show that TigerSwan cancelled TalentPen’s services. TalentPen’s former employee, who is the sender of both emails, has not yet responded to a request for comment. Kate Conger contributed to this report.